It has been a little while since we released new features in the Forensic Investigator Splunk App, so we are excited about the latest update. We have received excellent feedback on the app and have also been brainstorming some ideas for new tools to include. 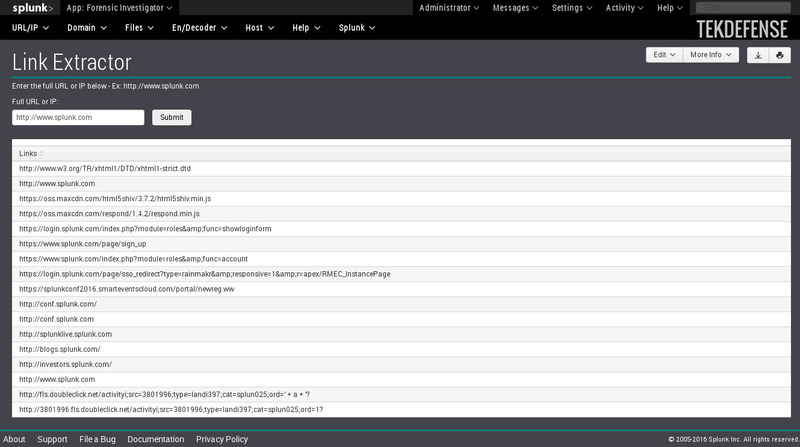 Here is what we have in store for you in version 1.1.3 which is now available for free via the Splunk App store. 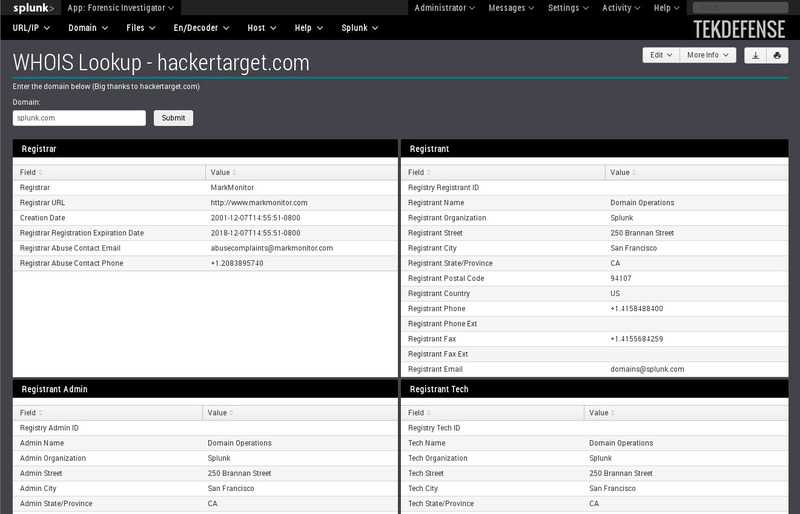 This is a first stab at a collaboration mechanism within Splunk. It works for a quick and dirty. The only annoyance is the refresh every 5 seconds. I am sure it can be made fancier with some Java Script so if you do a little dev and want to contribute--we would appreciate it. For a while, it appears that bulkwhois had an ISP issue. Thus, we added a second provider as another option. 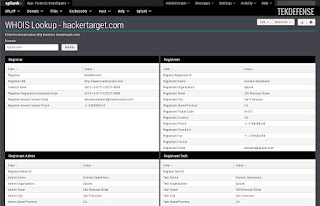 Big thanks to hackertarget.com. This is useful if you don't want to visit a potentially malicious site, but you want to know the links on the site. This tool will rip all of the links from the page safely and quickly. This last tool is useful for those who need to monitor how much storage is left on their indexers. 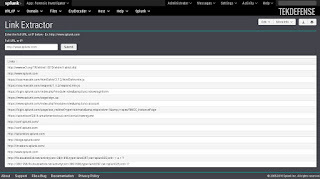 This is customizable to your server name and volume that holds indexed data. By default it is set to my development box which is a simple Kali VM.